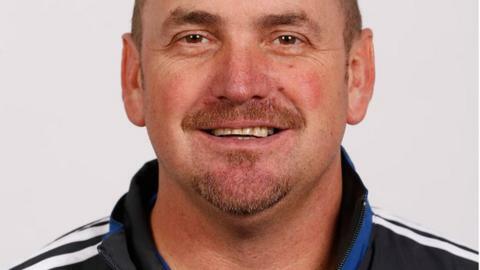 Shropshire have appointed former Derbyshire coach Karl Krikken to take charge of their Minor Counties Championship title bid this summer. Kirkken, 45, replaces Kevin Sharp, who has joined Worcestershire's staff. Krikken steered Derbyshire to promotion to Division One of the County Championship in 2012. But they came straight back down and Krikken left in December after 27 years' service to the county as a player, and then coach. Krikken was asked to reapply for his job following a restructuring of the coaching set-up, which brought in his former Derbyshire team-mate Graeme Welch. Bolton-born Krikken's 17-year playing career with Derbyshire began in 1987 and held various coaching positions before taking over as head coach in May 2011 following the departure of John Morris. Shropshire will also have a new team manager, former county captain Bryan Jones having been brought in to replace Terry O'Connor, who has retired. Sharp, 55, who will run the second team, support the academy and assist as a batting coach at New Road, is grateful to Shropshire for allowing him to get his coaching carer back on course after leaving Yorkshire. "I left Yorkshire two and a half years ago in difficult circumstances." he admitted. "I had lost my enthusiasm a little bit and going back to Shropshire reignited the flame. "Not just the cricket, which was really enjoyable, but the place itself because it means a lot to me having previously lived there for eight years. "Receiving a call from Terry O'Connor 18 months ago to get involved with Shropshire has in many ways changed the course of my life." Shropshire open their new season with a Knock-Out Trophy tie against Lincolnshire at Shrewsbury's London Road on 4 May.